Are you a creative dog lover? One morning as I was cycling to work I received a call from Jet, the mother of six beautiful boxers: ? is this spelt right should it be Pippa? Pyppa, William, Sprout, Ariel Digit and Silas. 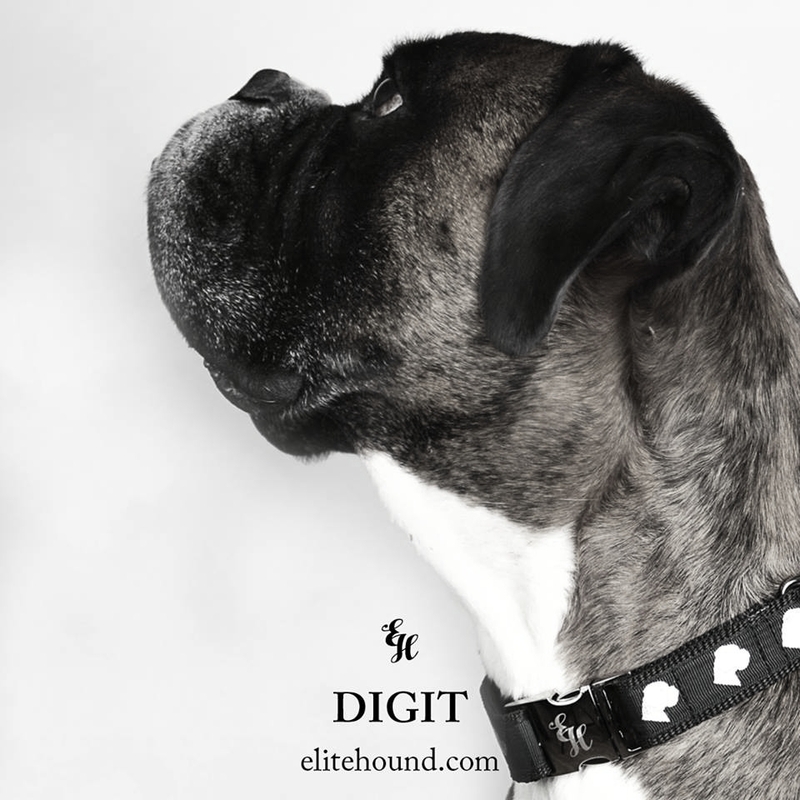 Jet wanted a bespoke order with the collars having a boxer head pattern in silver on them; specifically the head should be a profile picture of her lovely boy Digit. I was little scared to commit to this order however it was definitely a chance to freestyle, go out of my comfort zone and to learn about something new. My lovely architect friend Barbora created a silhouette using a supplied photo which was sent off for production. The quality of the first two ribbons was disappointing, however Jet was very understanding. The third was superb and six adorable collars and leads were made for her pack. During the time I was working on the order, Jet surprised me with her new bespoke metal gate containing the newly created profile silhouette of Digit in the middle. I thought this was a fabulous idea to match the dog collars with the gate. Dog love is endless and we are privileged to have Pyppa, William, Sprout, Ariel Digit and Silas in the Elite Hound Club.